Dine in with us and enjoy the commendable hospitality. 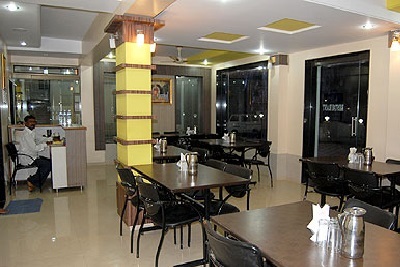 HOTEL SHRI SAI MURLI from Shridi, Maharashtra, arrange for you special dinning services. We have in store for you a scrumptious assortment of food-items. With us, you can also place order for special arrangements and can have a memorable time. We serve you hot and delicious food in the finest dishes in compliance with the best quality. Besides, we take complete care of your privacy and entertainment and thus offer you convenient services, as per your preference. Room Service Available with- Bed Tea, Breakfast, Snacks, Cold drinks and Mineral water.